FK talks to Melbourne based designer Jo Melrose about her ‘retrofolk’ style label! We love your label, can you tell us a bit more about what we can expect to discover from you? I hope you will find my label a bit of a visual feast. 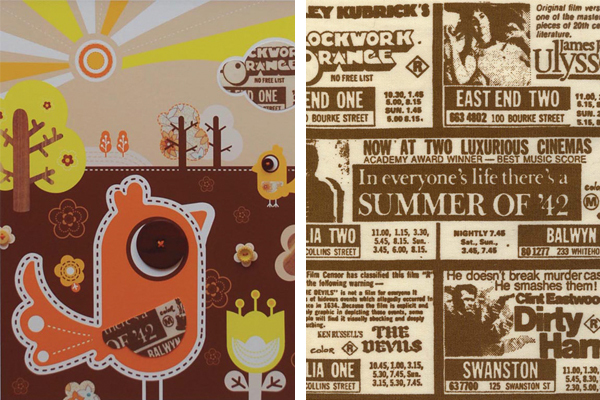 I originally created collages of my ‘retro bird’ in colour schemes reminiscent of the 1970s. I added vintage buttons and cut paper from vintage children’s story books. They appealed to both children and adults alike. 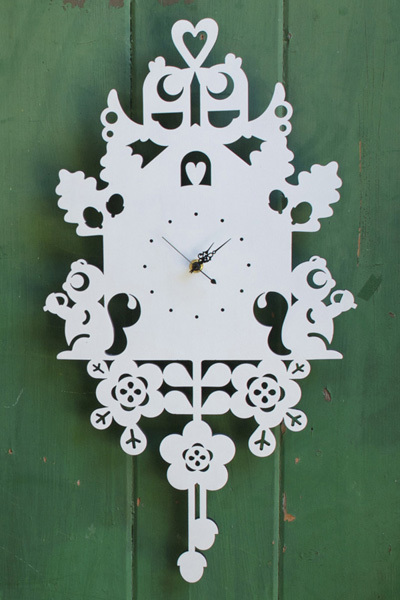 The lasercut clocks and wall hangings were a bit of a natural progression. My designs seemed to lend themselves to other applications. Brooches made from eco bamboo have now joined my collection. Recently I have introduced a retro inspired colour palette to my clocks and wall hangings which include ‘tangy orange’ and ‘60s yellow’. I am continuing to use sustainable materials and finishes across my range and I am passionate about manufacturing quality products here in Australia. My formal background is in graphic design and illustration, I have studied and worked in Melbourne and in the UK over the years. From about the age of five I started designing and drawing. I would design outfits on paper and then ask my Mum to whip them up on her Singer sewing machine. Back then I would tell anyone that would listen that I was going to be an artist when I grow up. I come from a long line of artists – including my grandfather and father who were very talented but not encouraged to pursue art as a career. My Aunt was really the catalyst for my start as an artist/designer. She was an art director and continues to illustrate today. My label Jo Melrose Design really started when I had children. It had been on the back burner for a long time so I decided it was now or never! Can you describe your ‘retrofolk’ style, and what inspires your work? ‘Retrofolk’ is really a fusion of styles for me. The ‘retro’ part of the word really means ‘retropective’ looking back to the past or reinventing it. 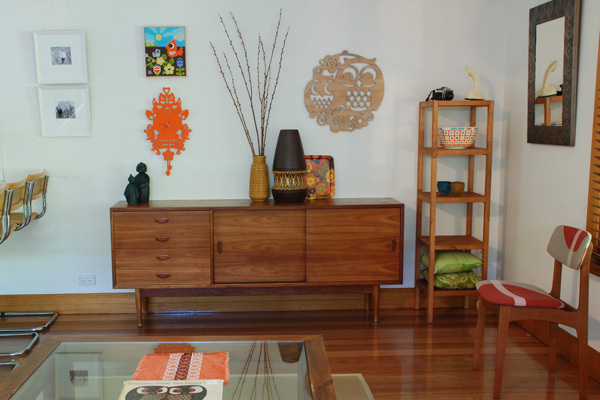 My style reflects the designs, colour schemes and childhood memories of the 1970s. 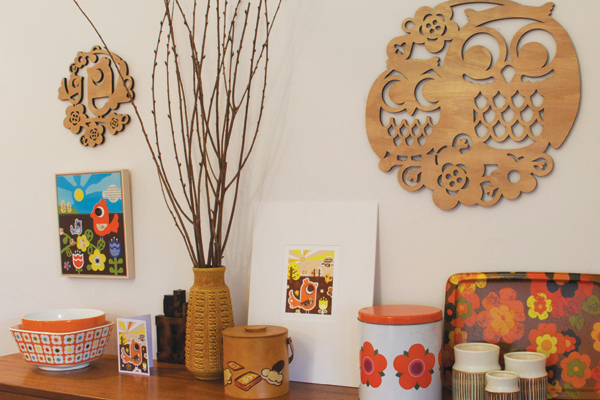 Strong geometric shapes and colours like ‘tangerine’ and ‘mission brown’ mixed with a touch of kitsch. Colour and pattern is a a constant inspiration for me, especially colour from the past like the vivid kaftans my mother wore and the orange and mustard wallpaper that dominated our kitchen. The ‘Folk’ part of my style is inspired by the naivety and simplicity of folk art and how most cultures seem to have their own interpretation of it. My cuckoo clock is probably the most representative of my ‘retrofolk’ style. I designed it whilst watching the Eurovision song contest. I think that sums it up. What is your creative process and what motivates you? The creative process often begins as an idea that won’t go away, so I put pen to paper. I will then bounce the ideas off a couple of arty friends or my daughters, who tell it how it is! I am very self motivated, having 3 children makes you realise that you can’t put things off or procrastinate. When I have an opportunity to work I take it. I give myself deadlines to get a design finished and try and meet it as I have to allow time for manufacturing and finishing etc. What is your workspace like and what is an essential part of your day? I finally got a large workspace or my own this year. It is large sunny room in the front of my house. 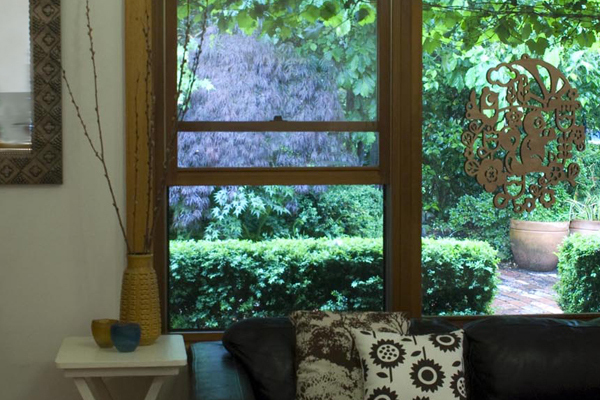 It has great natural light and looks out over the garden. Some would describe it as messy, I like to describe my space as organised chaos, a bit like the inside of my head! An essential part of my day is coffee, getting to the post office to send off a clock or wallhanging and connecting with the outside world. 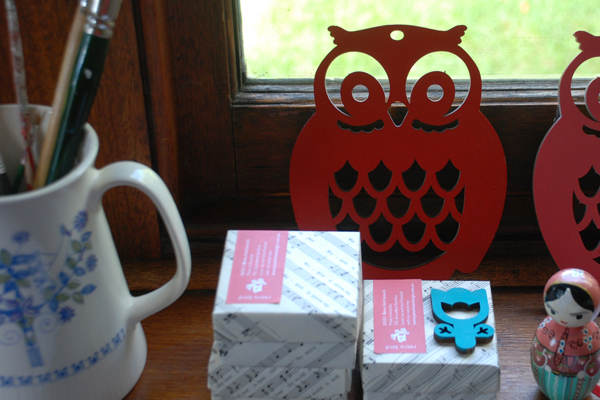 Designing can be quite solitary so I like to have a daily chat on the phone to a friend or my mum. What plans do you have for your label for 2011? Love the owls, especially the big one and the little one looking into each other’s eyes, so cute! Great work.